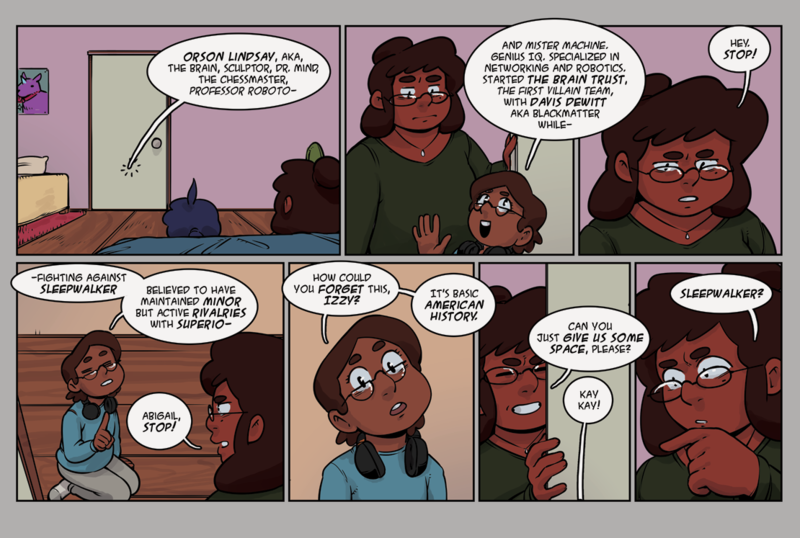 Abigail has sort of an uncanny memory for superhero history that sometimes surpasses Izzy's seemingly encyclopedic knowledge of advie culture. Abigail also loves geology, old radio shows and Space Pups: Cosmic Besties. She's ready to tell you all about them whether you've asked or not. We hope you all enjoy today's page.